Are you looking for work in the automotive industry? Speedcraft Volkswagen names winner of 2016 e-Golf giveaway! 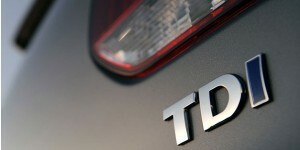 Volkswagen continues its effort to win back the trust of the American consumers and make things right with TDI owners with a big announcement. This Monday, November 9th 2015, Volkswagen will contact registered TDI drivers that own a model affected by the EPA emissions defeat system. If you have not registered with VW TDI Info to receive updates regarding your Diesel Volkswagen, please follow the directions below.